Summary: A polar bear explains how she uses the sea ice to travel and to hunt. As summer ends, the ice has thinned, and she spends more time swimming. For much of the story, she is trying to reach land, which entails a long swim past other Arctic creatures like narwhals, walruses, and a whale. Finally, after an exhausting three-day swim, she reaches land, where she will eat kelp and wait for the ice to thicken again so she can hunt seals. 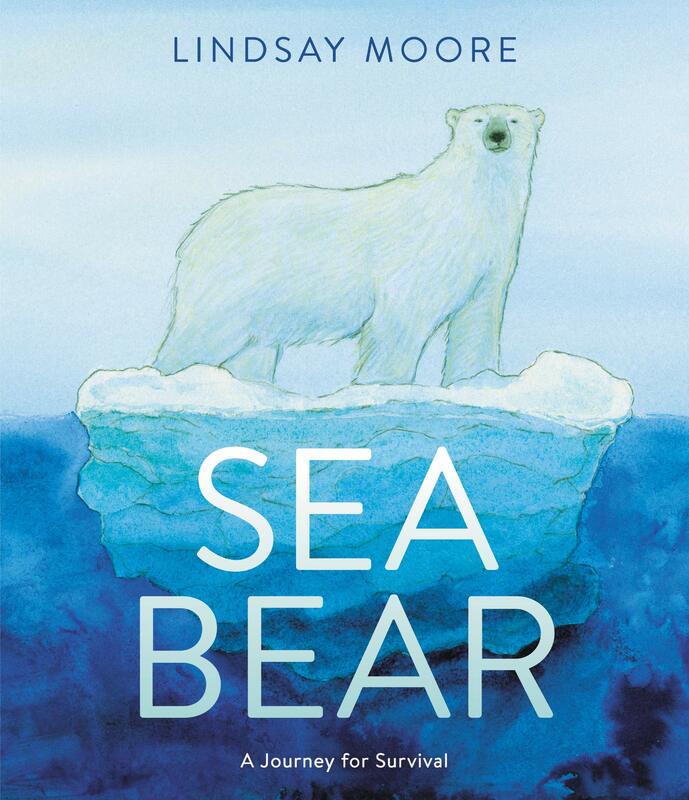 Includes a page of information on sea ice, polar bears, and the implications of global warming; as well as a page describing some of the other animals shown in the book. 48 pages; ages 4-8. Pros: The lovely watercolor and ink illustrations perfectly capture the blues and whites of the Arctic, and the spare text introduces a lot of information about the polar bear. Cons: The global warming aspect makes it a sad story.